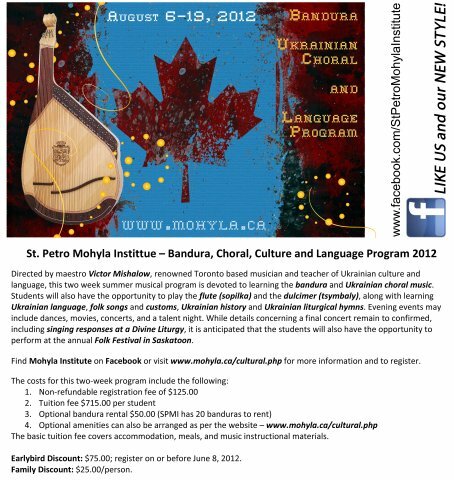 St. Petro Mohyla Institute (SPMI) is pleased to announce that it is offering a two-week summer cultural and musical program designed for teenaged learners (13 and older), devoted to learning to play Ukraine’s national instrument, the bandura, other folk instruments and perform Ukrainian choral music and folk songs. Instruction will be provided for all levels, from beginners to advanced. Banduras are provided. The program will be held August 6 –19, 2012. Mishalow will be assisted by a staff of counsellors in order to provide a full and stimulating schedule of daily group instruction. All students will be housed at SPMI. In addition to the bandura, students will have the opportunity to play the flute (sopilka) and the dulcimer (tsymbaly), along with learning Ukrainian language, folk songs and customs, Ukrainian history and two-voice Ukrainian liturgical hymns. Evening events may include dances, movies, and a talent night. It is anticipated that in addition to performing at a final concert, students will also have the opportunity to perform at the annual Folkfest festival inSaskatoon. The SPM Institute has been conducting successful summer programs for high school students since 1970. 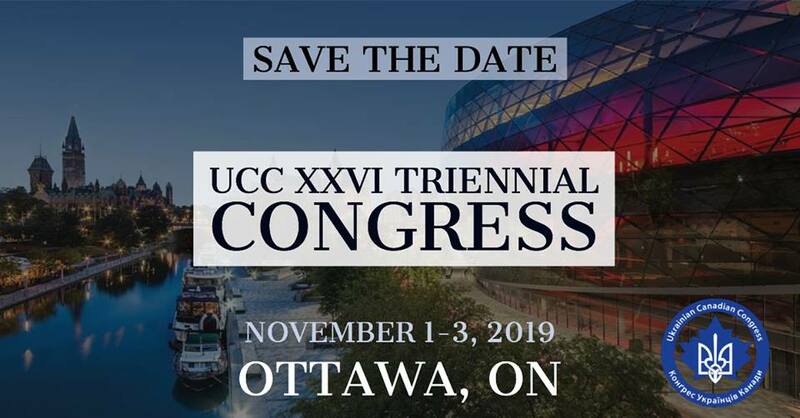 Its alumni occupy prominent positions in Canadian society and have expressed high praise for the summer programs, which foster an Ukrainian Canadian identity, leadership abilities and life-long friendships among participants. Since it’s founding in 1916, the Institute has been investing in youth and providing an environment where students learn from highly qualified mentors and from each other.